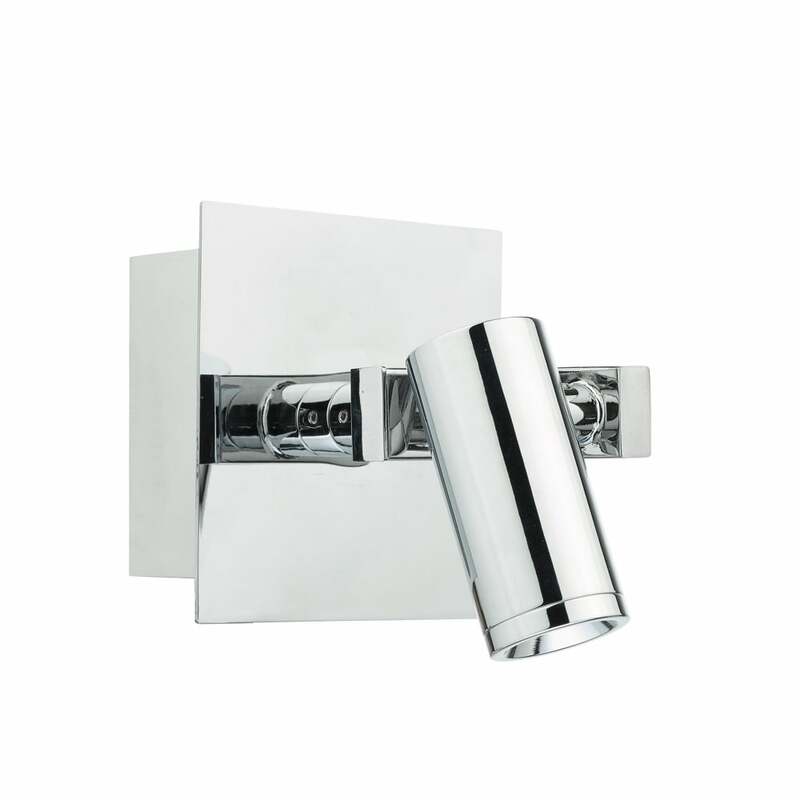 Dar Lighting Bex single light LED wall fitting features a square design flush wall plate with a cylindrical shaped adjustable lamp head which all in polished chrome finish. This discreet wall fitting is completely versatile and works well either wall or ceiling mounted, the fully adjustable lamp head can be positioned to where light is required, perfect for highlighting architectural features, pictures, illuminating difficult spaces or as a reading light. Double insulated and includes an integrated warm white 3000k LED providing 173 lumens. This product code is BEX0750. A wide range of reading lights can be viewed on our website.